In this module you will learn how to use the Ring Chart by MAQ Software. 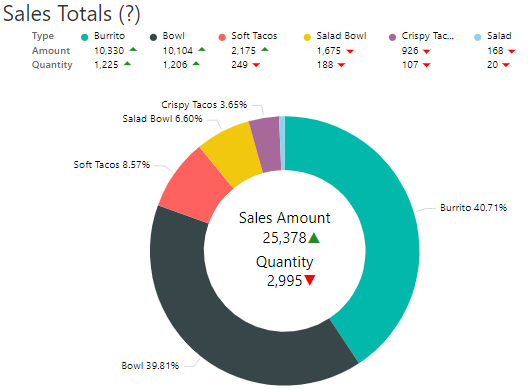 The Ring Chart is similar to the native Donut Chart but has many more additional customizations that can be configured. Similar to the Donut chart but with additional customizations. The size of each slice is relative to the data provided. This Ring Chart displays the distribution of food purchases. Under the Legend section the appearance and location of the legend on this visual. 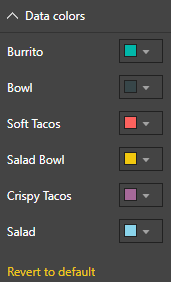 The Data colors section allows you manually change the colors that are used for each slice of the Ring Chart. The Detail labels section allows you to modify the data labels that are shown around the Ring Chart. 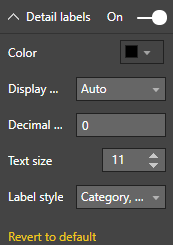 Using the Summary label options section you can change the labels that appear in the middle of the chart for the primary measure. 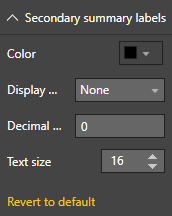 Using the Secondary summary labels section you can change the labels that appear in the middle of the chart for the secondary measure. 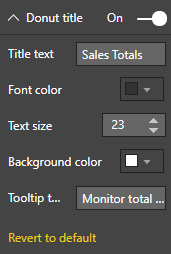 Under the Donut title section you can modify the chart title and add a tooltip. 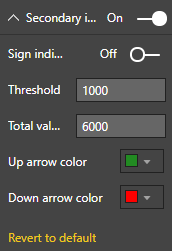 By changing the Primary indicators section you can adjust the thresholds required to meet indicator requirements for your primary measures. 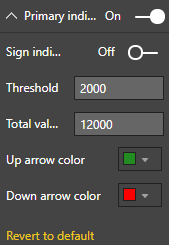 By changing the Secondary indicators section you can adjust the thresholds required to meet indicator requirements for your secondary measures. The Animation settings section allows you to turn on the subtle animation available on the Ring Chart. 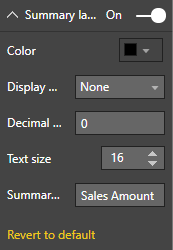 By changing the No data message section you can control what the chart displays where there is no data to present.